Matt Watson and the ITM Fishing Show have just launched their new Stabicraft 2750 centre cabin boat. This is designed to be the ultimate fishing weapon, from the new 300hp Evinrude E-tec G2 to the Furuno 14" Nav net TZ touch, this boat has it all. To view the full length video click here. 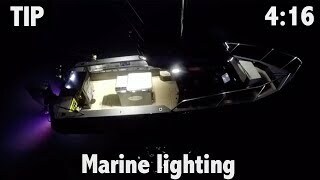 Otherwise just check out the Hella marine lighting package Matt has specifically chosen by on the video here.